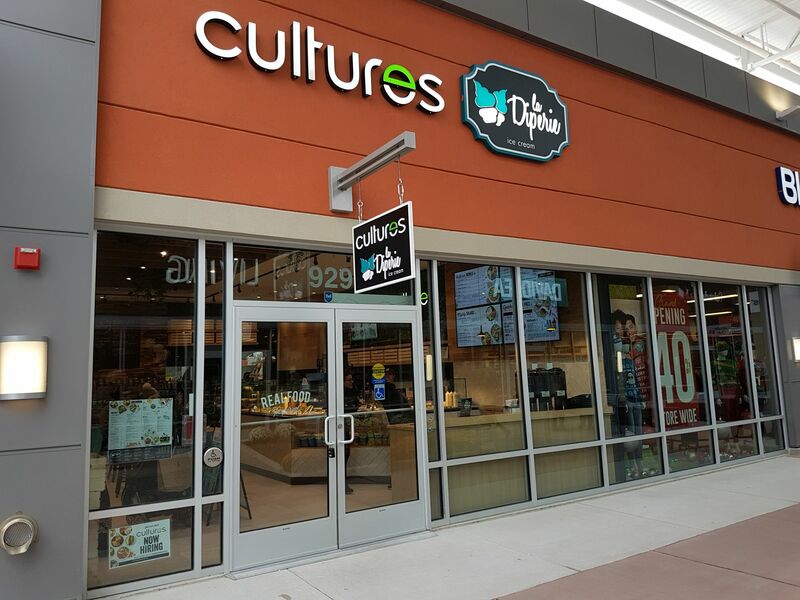 Cultures & La Diperie Now Open at Toronto Premium Outlets. The Cultures and La Diperie teams are excited to announce the grand opening of our first joint Cultures and La Diperie store at Toronto Premium Outlets. Located in Halton Hills, Ontario, conveniently off Hwy 401, this premiere shopping destination revealed its brand new phase 2 expansion featuring over 40 new retailers including our Cultures and La Diperie store! 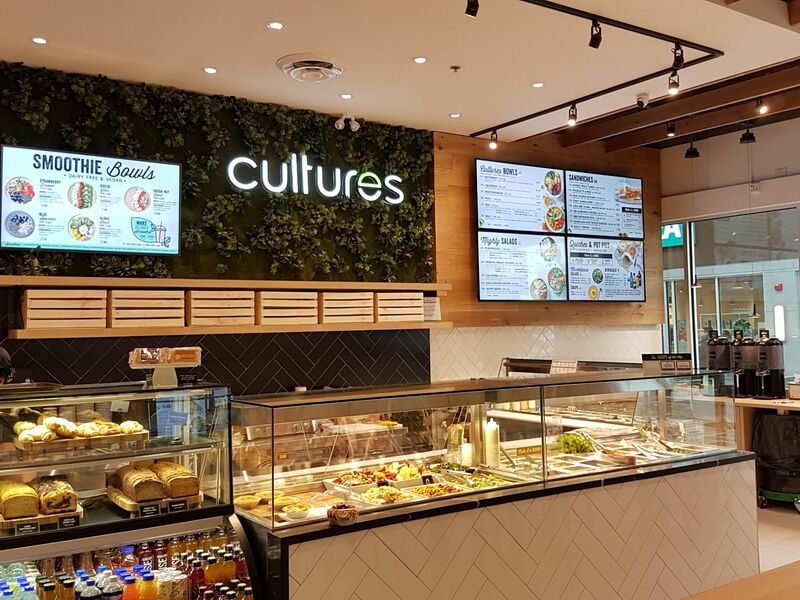 The Cultures menu will bring Mighty Salads, warm grain bowls, gourmet sandwiches, refreshing smoothies and more to hungry shoppers looking for food that they can feel good about eating. La Diperie features over 30 pure Belgian chocolate dips and over 20 different toppings to choose from. 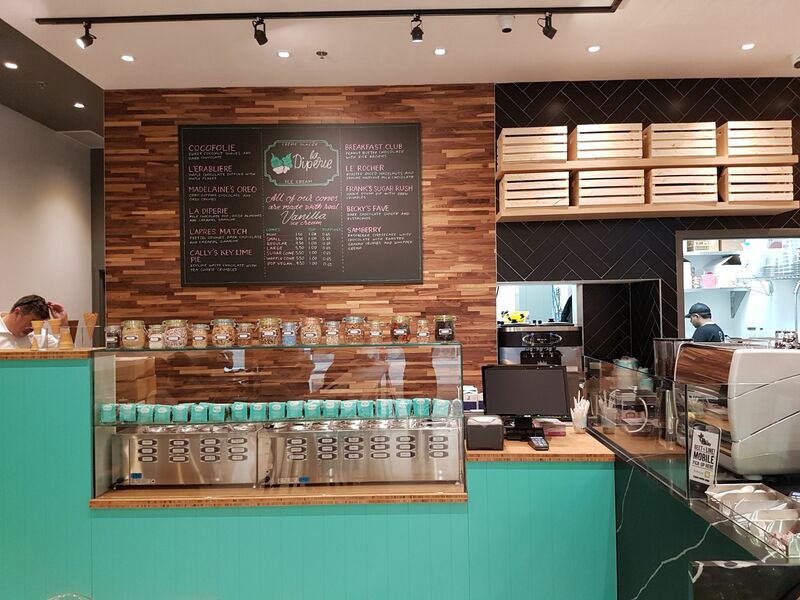 Their milkshakes, vegan cookie dough, ice cream cakes and specialty drinks ensure that there is something for everyone. Our store design is modern and fresh, with seating available to enjoy your meal in store or take it to go. Franchisees Maunang & Chetanshi Thakkar are thrilled to be serving shoppers from all over the GTA just in time for the holidays.